The above link gives a quality timeline to consider who** is migrating from where and when. Are indeed being shown to us a Purpose by the Elites. Our Earth has been visited via several Portals of Movement or Emergence. There appears to be a elimination program running to End* Hominin and non Hominin or hybrids Race lines. The Paracas Race going extinct just yesterday as time goes. California to inland Mountains experiences high water overturning it. A Tsunami after a West coast fault let's go? Possibly the West Coast subducts and is gone under the sea. Cayce stated that Ocean levels will rise. Hydraulic water from Earths crustal regions erupts? My view of the Ancient 3rd Eye was it was a form of Interlink connection with the Information moving in Time ...also the DNA data storage/Akashik records . We today have the Internet. ..
Cayce coment that The New Man would become Light is amazing, ..
As Photonic super computer is real. The Migrations and competitions which are now less and less fantasy indicate the Story of Survivors fleeing Mu/Lemuria and Atlantis are viable. 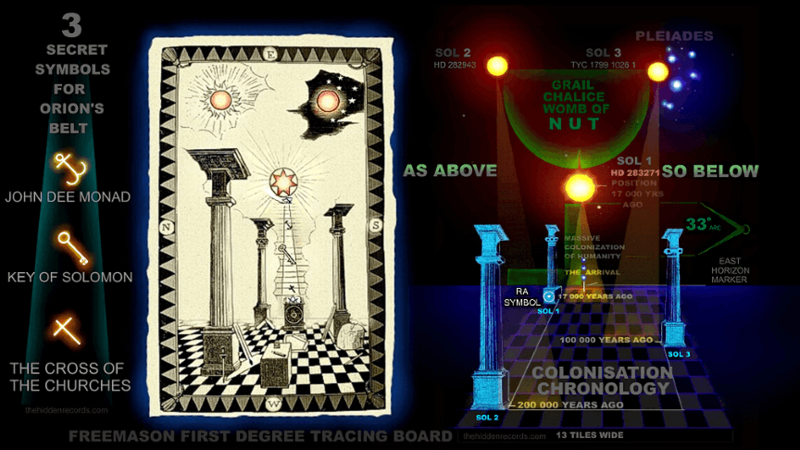 The Masonic Trace board....the Contact. ..Colonization. Emperor of the Known Universe. Would we even know such dynamics did occur 200,00 years ago onward? The Secrets hidden by the Masonic...The Shemsu Hor. ..
Teased out in Books and Movies like Dune. Just as the Spice transforms people from the series Dune. Man is a animal...animal hybrid. Reincarnation suggests souls wait for periods of time to Re Emerge in Living forms. Cayce readings on the New Man suggest that is something to desire towards via Experience.